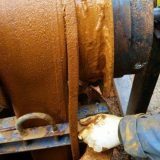 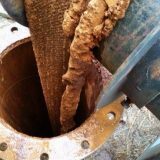 Removing a rising main from a borehole. 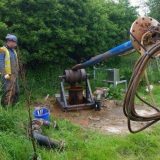 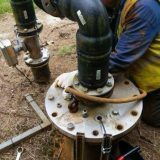 Borehole Engineering Services in action removing a wellmaster rising main and pump from a borehole using a roller. 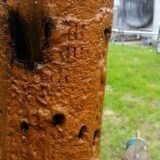 Borehole suffering from iron bacteria what a mess. 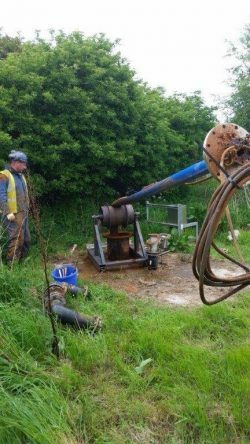 All cleaned up and reinstalled pump supplying a large factory, one of three boreholes. 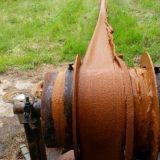 Need a pump removing call in the experts.